realized and sometimes lost—and the power to go forward in either case. We still need your help! The instruments we took with us are there to inspire the youth, but a large part of the bill is still here with us! We're deeply grateful to everyone who chipped in so far and all of you willing and able to give today. Details of our stay will appear very shortly at the link above, where we'll acknowledge all of our supporters, with a video and soundtrack featuring the kids' activities and their song. 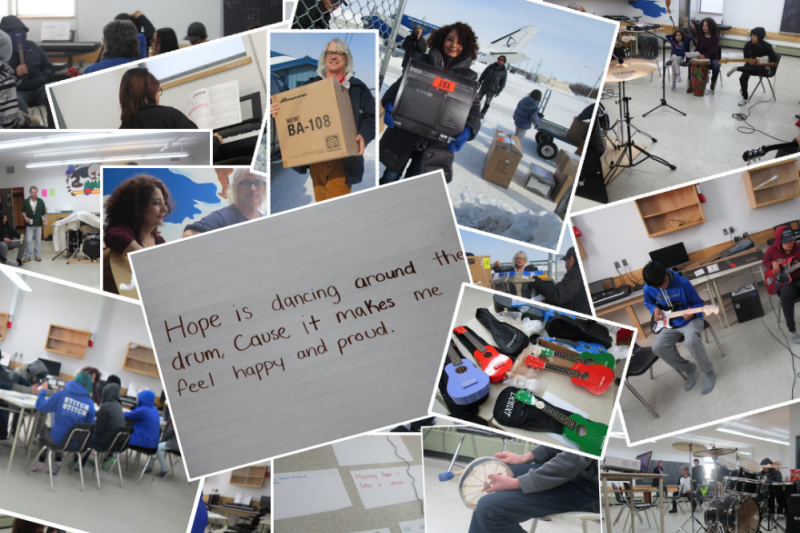 Thanks for contributing to the hopes and dreams of teens in Attawapiskat! 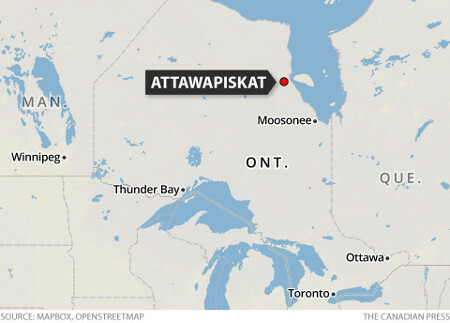 We fly to Timmins this afternoon, and to Attawapiskat Saturday morning. The ukuleles, two guitars, a bass, two small amps and drum set are a day ahead of us … and after a postal code mixup that caused a day's delay we hope drum sticks and cymbals aren't far behind! 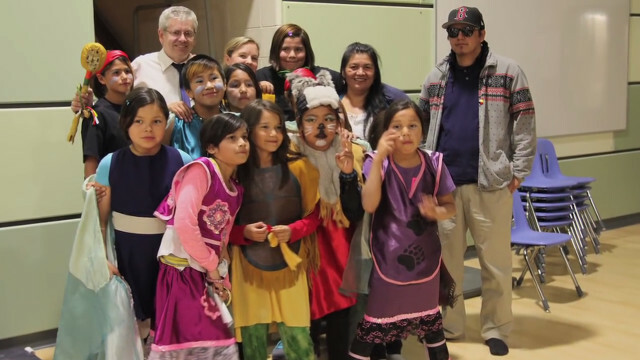 The campaign remains open … we still need to reach our goal to cover the full cost of the instruments that will remain with the young people of Attawapiskat after we return to Toronto the following week. Please give if you can, and spread this link widely. Thank you from all of us SingingForLife and SingingForLove! We're now more than half way there! Thanks to Certifiably Strung for sending 10 new ukuleles to the kids in Attawapiskat! We still need some help with the guitars, bass and drums. Thanks to one and all! 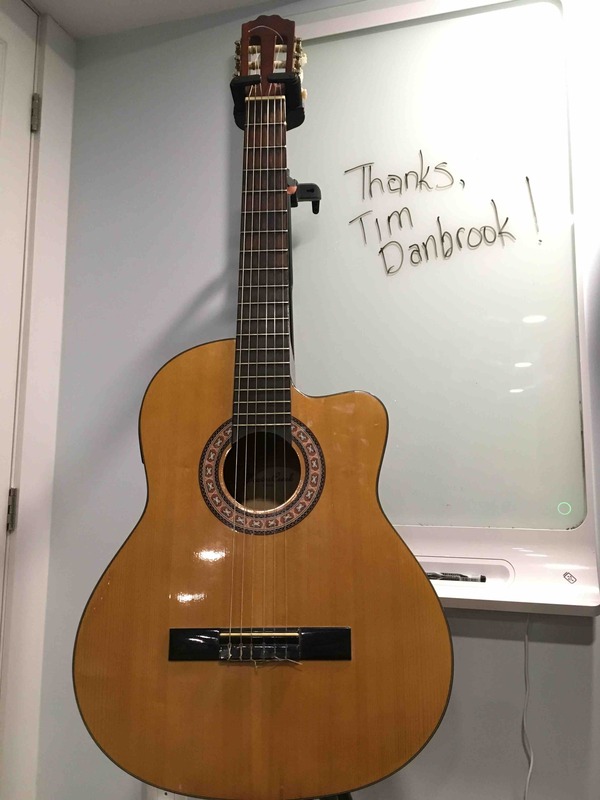 SingingForLove thanks Tim Danbrook for his donation of an electro-acoustic nylon string guitar! Pre-loved, it's very playable with excellent intonation—perfect to inspire practice and love of learning music! We're still looking for sturdy drum kits, electric bass, guitar, small amplifiers, skins, string, and—just as importantly—the funds to offset the high cost of shipping them to Attawapiskat, where they'll become a permanent part of the community. Proceeds from this fundraiser will be used for all this and to keep the kids safe, warm and well fed for learning. Each of 5 intensive days will consist of two 90 minute sessions of listening to, learning about and writing music, within an indigenous context. Participants will come to know that indigenous musicians influenced rock & country music from the earliest times these styles appeared, and they’ll hear examples of players whose hearts were touched by music , and touched the hearts of others. 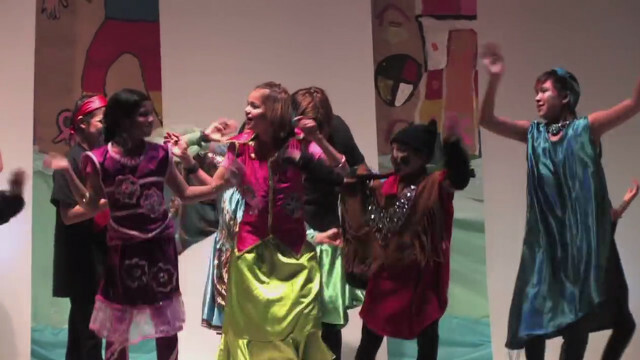 We’ll hear indigenous people speak of the healing power of music in their own words. This guided discussion will set the stage for the young people to write songs of their own. Depending on the number of participants, they’ll form one or more groups. As the week progresses there will be growing opportunities to learn and practice an instrument. The group or groups will choose a topic of their own, express it musically and write lyrics. They may choose to write in any language, or a mixture of languages. The sessions will be documented with photographs and video. Jackie, Rosy, Richard and others will work with the group to expose a connection to the land. On the sixth day we'll shoot a video to summarize and celebrate the learning.